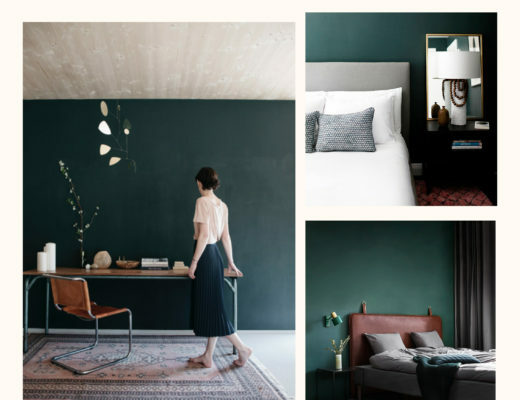 Two weeks ago, the Spring 2018 One Room Challenge featured designers and guest participants (including me!) revealed their room transformations. I was so floored by everyone’s reveals – they are so gorgeous – and am so happy to be part of such a talented design community. 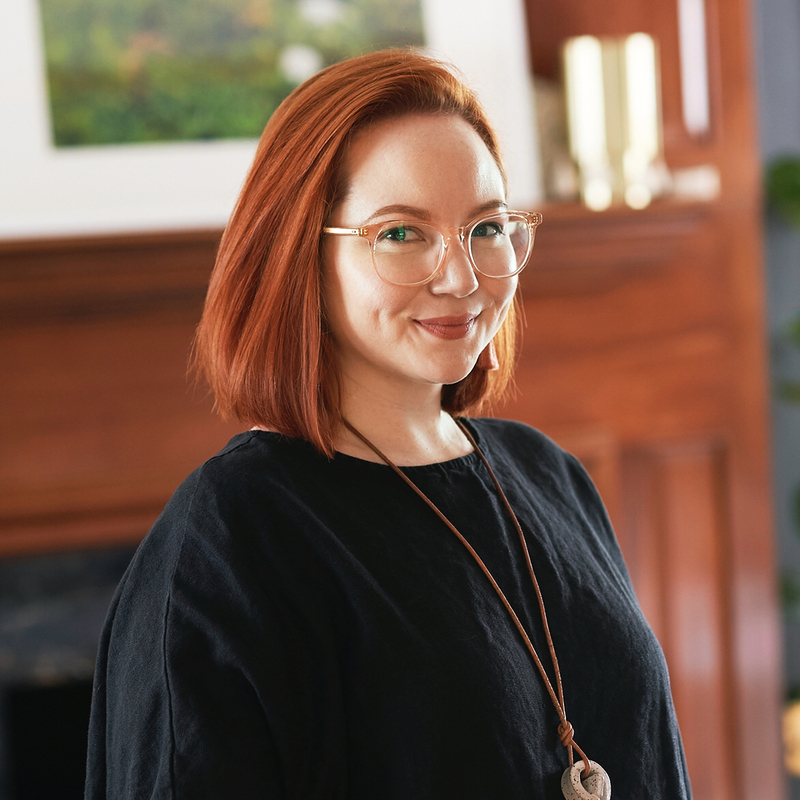 The guest participants who will participate as featured designers next season were just announced, (congratulations to Nicole of Vestige Home and Erin Kestenbaum!) but I wanted to share with you some of my favorite reveals in case you missed them! 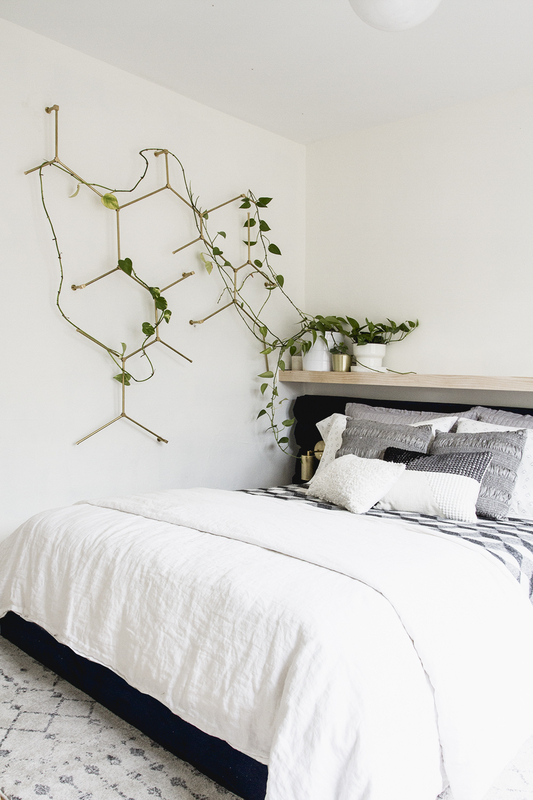 Nicole of Vestige Home made the most serene nursery I’ve ever seen complete with a custom daybed. 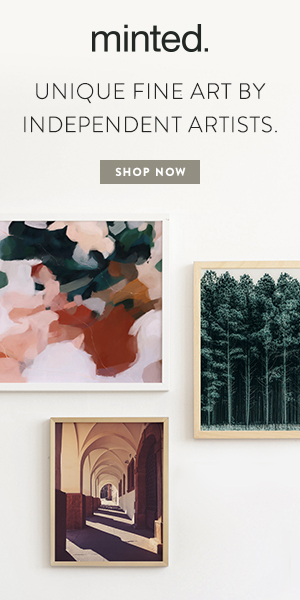 The two-tone walls are so subtly sweet and I am in love with the handmade ship mobile. Photographed by Rebecca McAlpin. Nicole was selected from the guest participants to be a featured designer next season! 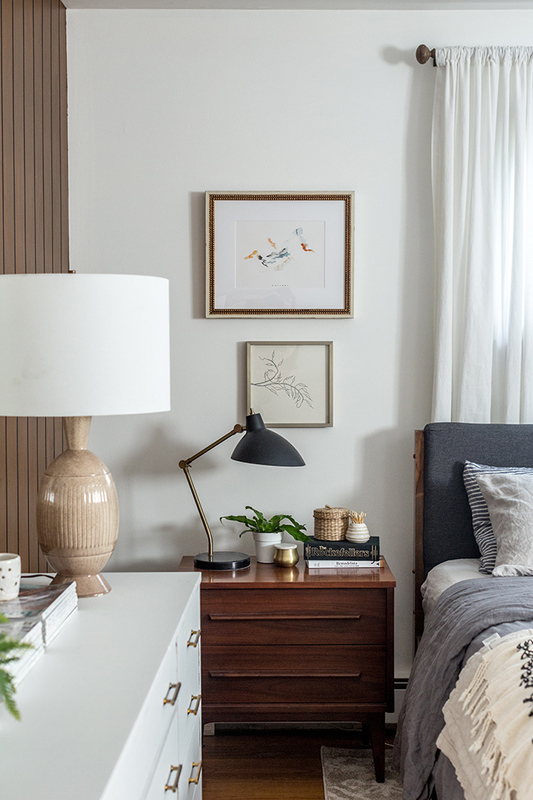 Allison of Deuce Cities Hen House built a custom blue velvet tufted bed, brass trellis, AND her own sconces to transform her guest bedroom. She restored her windows and doors and gave them a fresh coat of black paint. 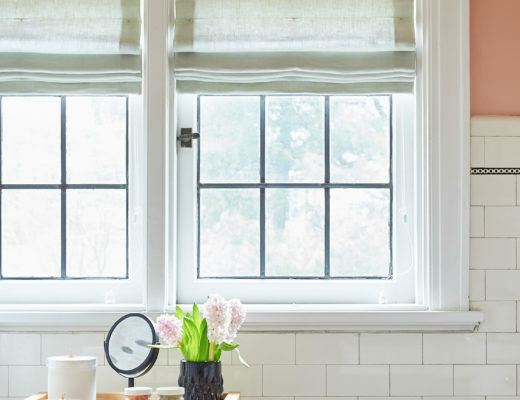 She cleverly problem solved her way around a 10×10′ room with a radiator and large windows to make a tailored and bright space. 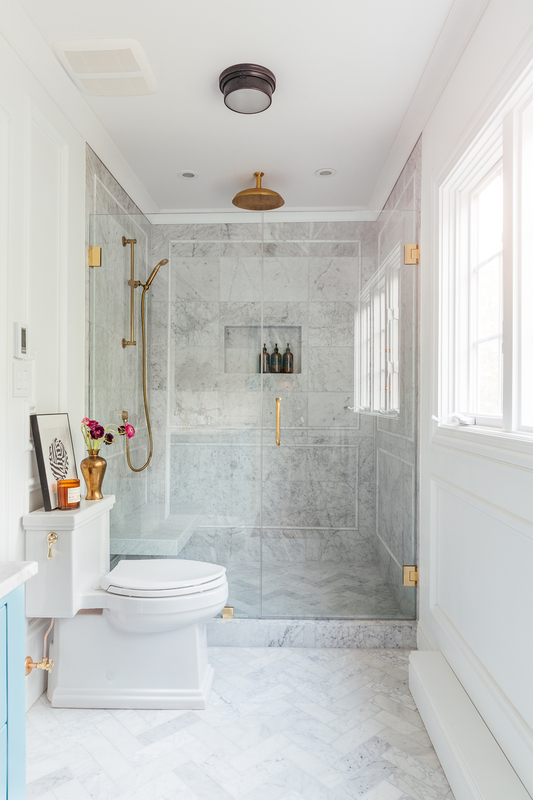 Erin Kestenbaum put together the most stunning marble tile master bathroom. That shower is so incredible – that pencil tile! And I’ve never seen such a handsome toilet, it works so beautifully with the trim work and looks plain regal! Congrats also to Erin for being selected to be a featured designer next season! So well earned! Mila of Jest Cafe’s kitchen and dining room transformation is a colorful, bold oasis. 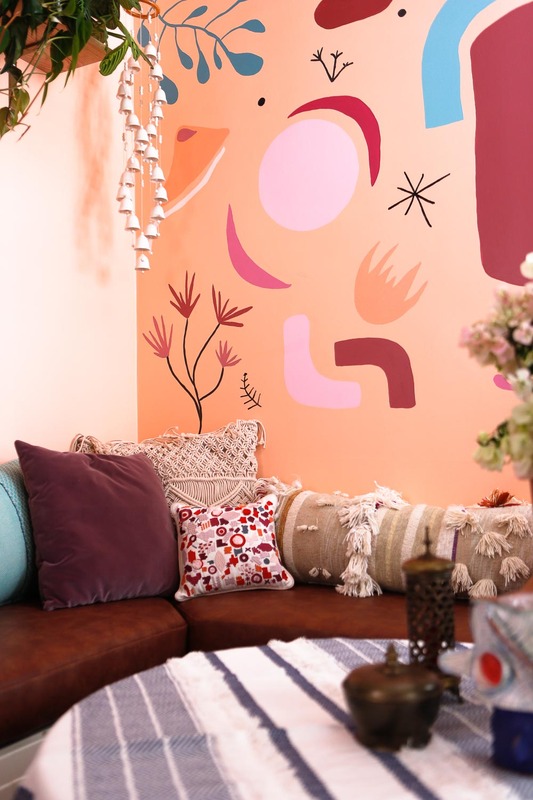 She paired an unconventional cabinet color with a stunning hand-painted mural and boho-inspired accents to make a coral and pink dream. 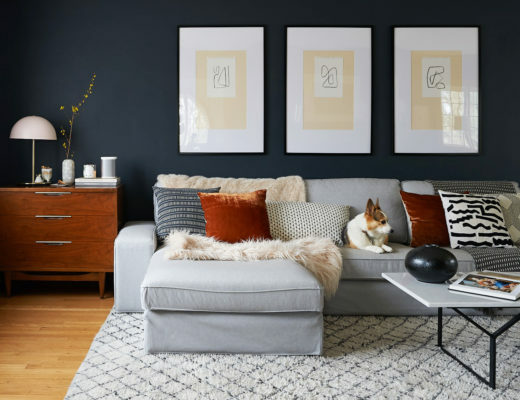 Another colorful transformation comes from Jewel of Jeweled Interiors who did a rental-friendly (!) living room makeover. This woman cannot be stopped. 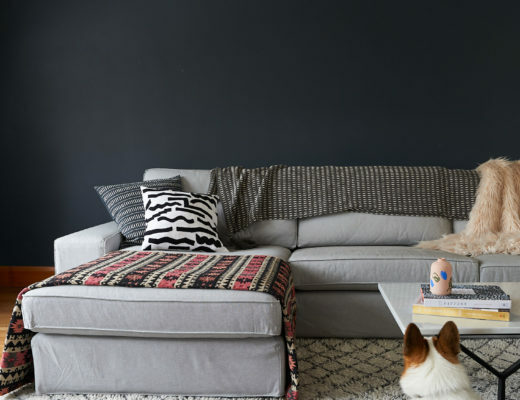 She reupholstered a sofa in terrazzo-print velvet and added fringe. She painted those armchairs. Just such incredible, bold work. 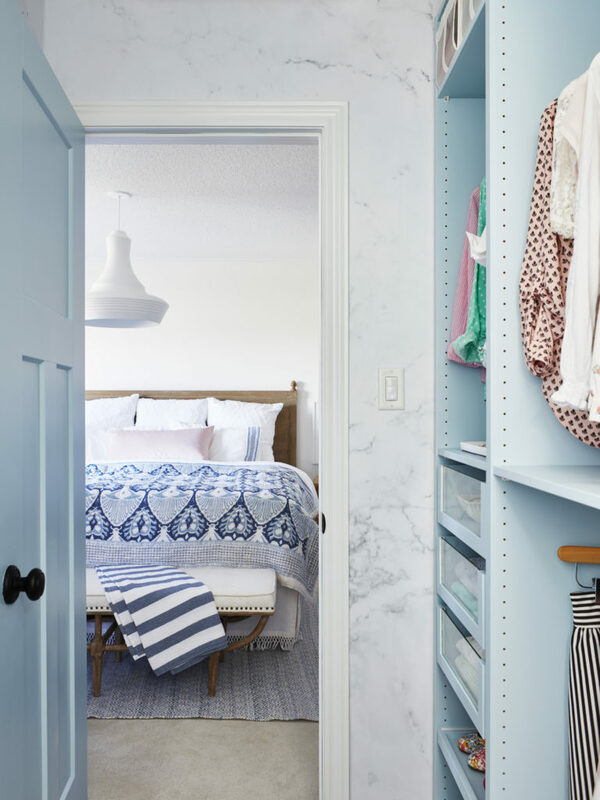 Sarah Gunn made over her master bedroom with a coastal vibe and majorly upgraded IKEA PAX wardrobes with light blue paint. Such a beautifully finished space with thoughtful details! And you know I love all IKEA hacks/upgrades. I am extremely into this modern and playful makeover from Goldalamode. I have never been a fan of purple in decor, or fashion, or anything but DANG. 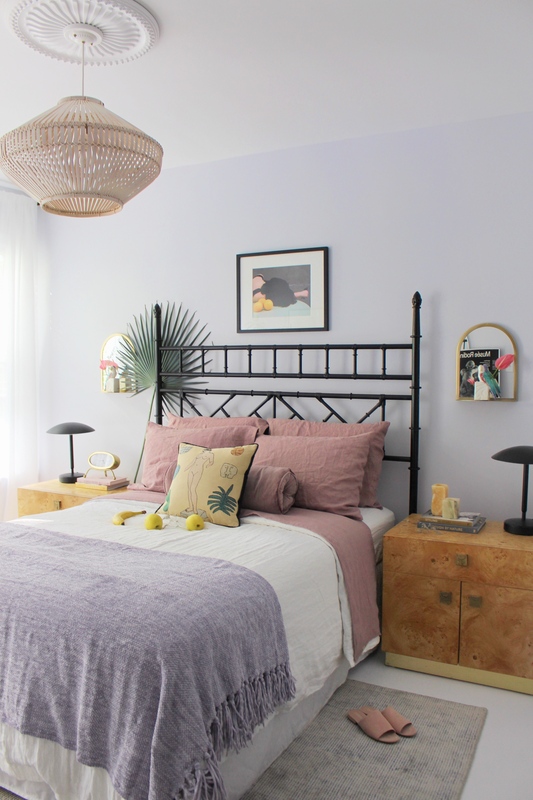 I love those light purple walls and blush/dusty pink accents. And those vintage burl + brass nightstands! 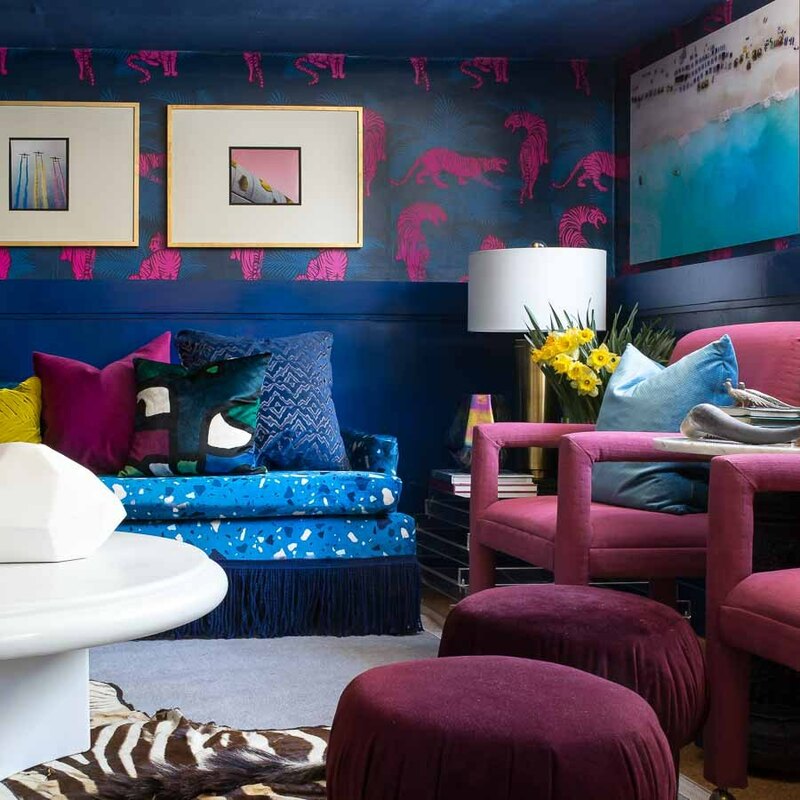 This room takes the best trends from the 80s and makes them current and fresh. 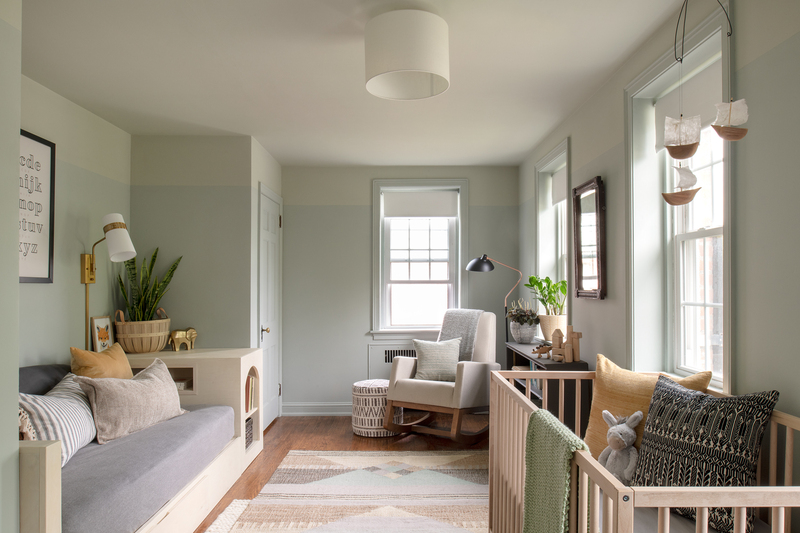 Cathy and Garrett of The Grit and Polish created a space for their youngest daughter to grow into in their historic farmhouse. They found this charming canned bed on Craigslist for $0 and did their whole room for less than $500. It is feminine, charming, and cozy and you have to see the wallpapered crib nook! My traditional heart looooves this breakfast nook from Jess at Domicle37. 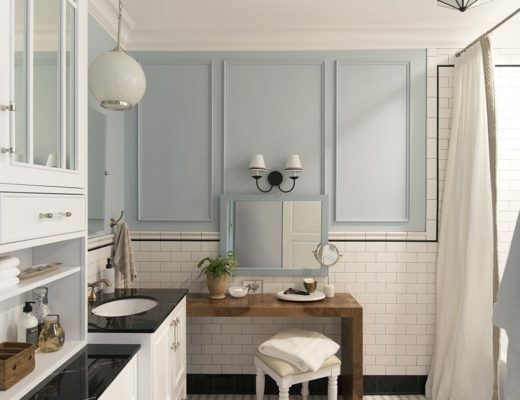 She replaced the tile backsplash with clay subway tile that looks completely classic and totally made me think her house was way older than the 1950s! She also covered the countertops in concrete, adding warmth and texture. 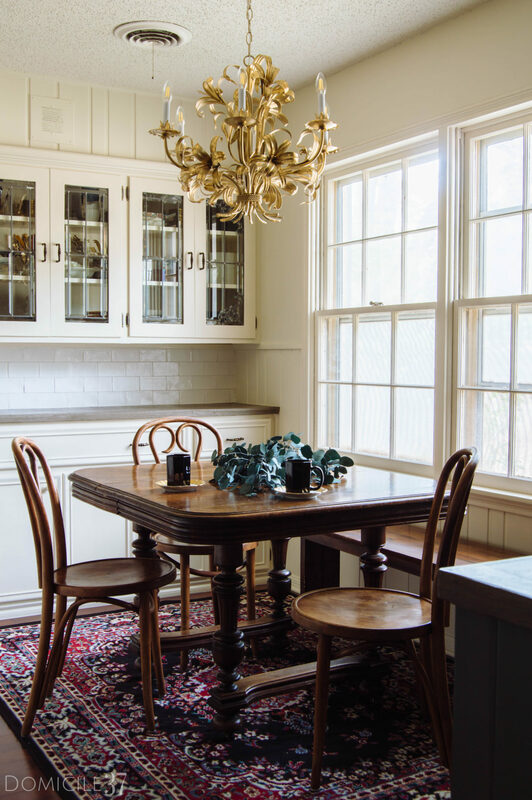 The vintage dining set is the perfect touch against the painted cabinets. 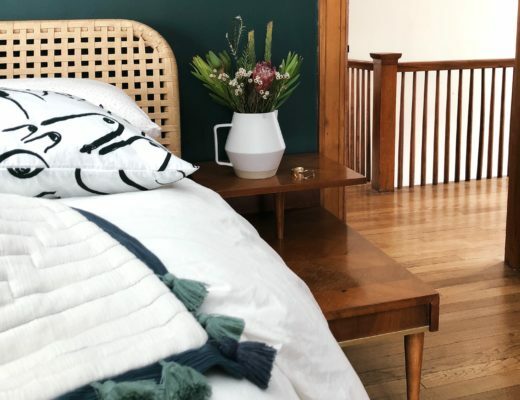 Carrie of Dream Green DIY added a DIY faux wood paneling accent wall, vintage furniture, and neutral accents to her master bedroom. 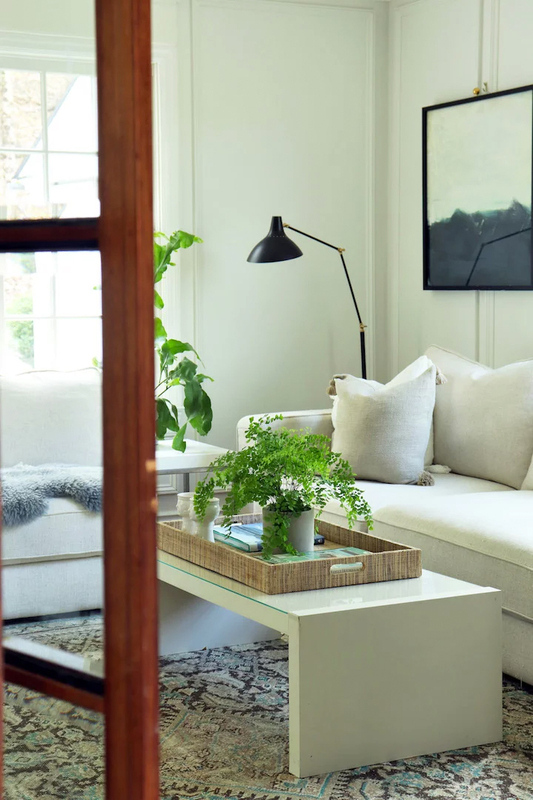 The result is a cozy space that feels collected and suits her brick ranch home so well. Ashley K Goldman of The Gold Hive pulled off not just a One Room Challenge, but a one and a half room challenge. 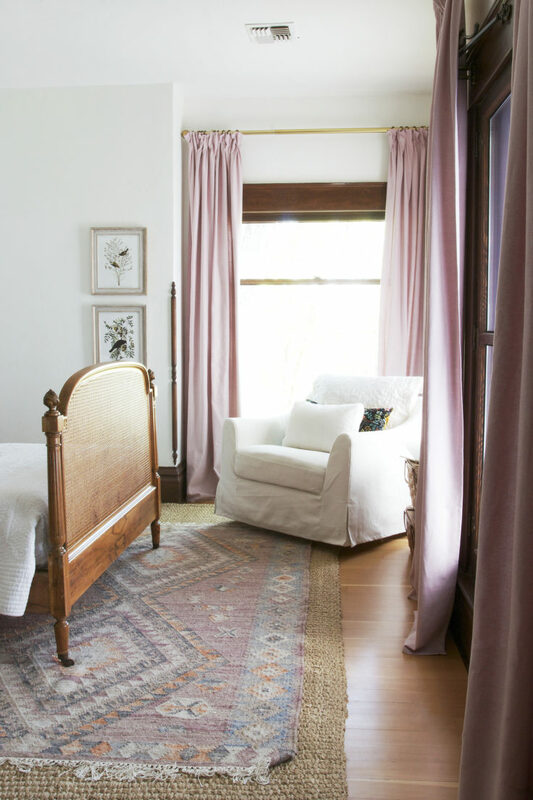 She redid her master bedroom, DIYing her board and batten to make a traditional and calming space. She also added a new door leading to her backyard and added new patio furniture. 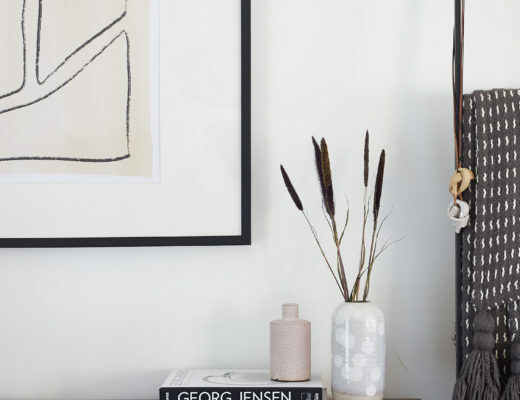 Natasha Habermann made over her living room and foyer for the Spring challenge. Her reveal photos and home look straight out of a profesh magazine and my traditional-home loving heard ate them up. There’s so much to talk about in her space but I am so into the molding she added to her walls from Metrie. It looks totally original to her gorgeous home. So much inspiration! 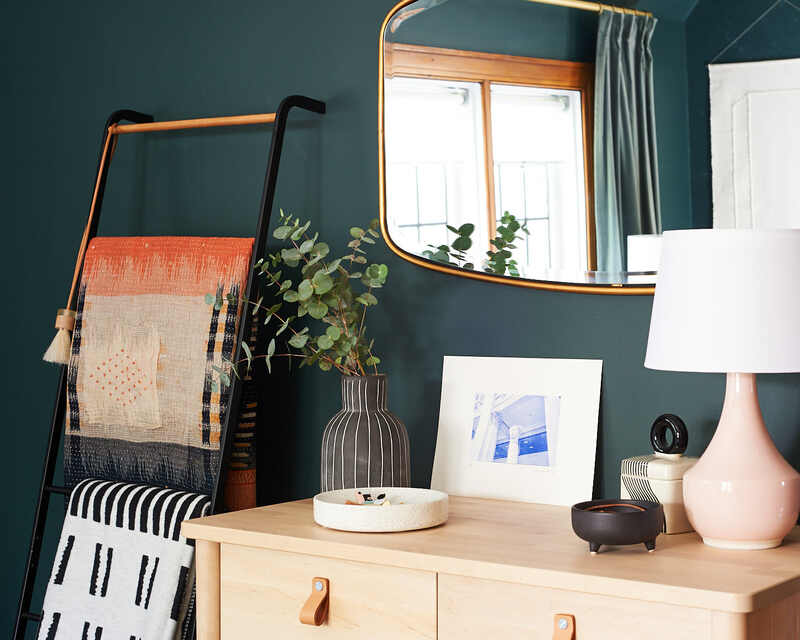 See all of the One Room Challenge Spring 2018 guest participants’ reveals here. Love these rooms, and yours too! I like the vintage theme running through many. Thanks so much! I feel the same about all the vintage shining through!